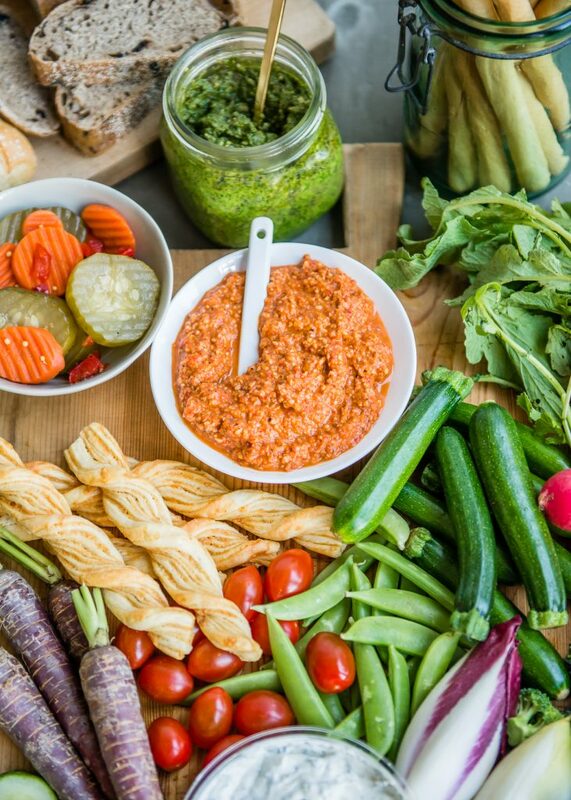 The word crudité translates to “rawness.” A crudité platter sounds fancy, but it is simply an appetizer made up of fresh, raw veggies, and accompanying dipping sauces. 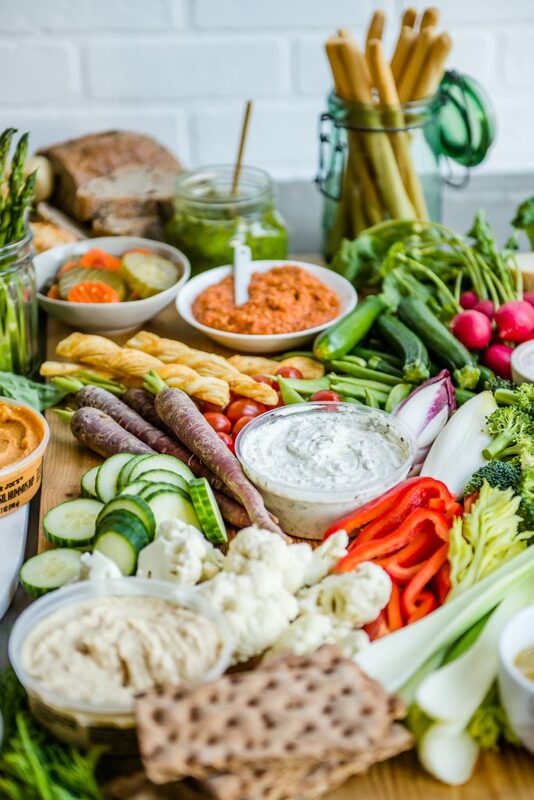 It’s easy as can be to put together a veggie platter and I’m here to help you build the most epic crudité platter ever that will wow your guests and their tastebuds. 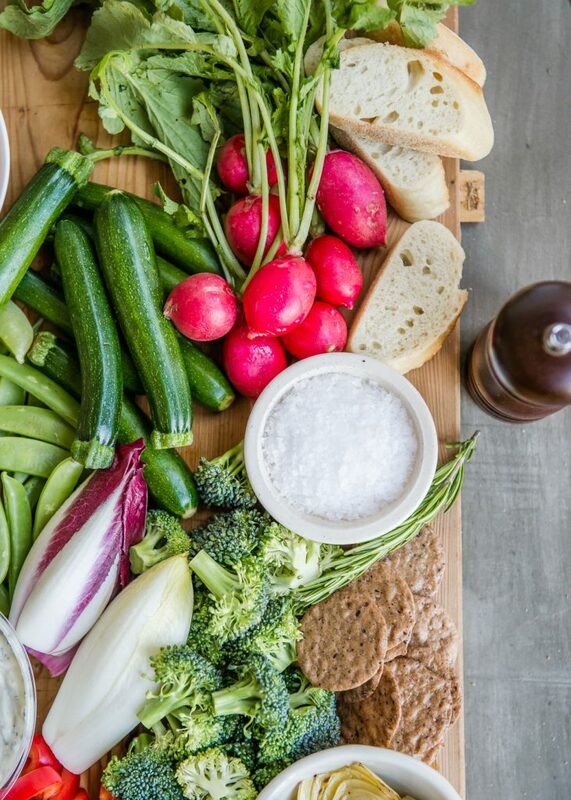 A good crudité platter naturally starts with the vegetables. Depending on the season or availability, choose an array of veggies with varying colors, textures, and flavors. A theme can be chosen, or it really can be as simple as highlighting the season’s best vegetables. And it’s easy to modify for holidays too. I’m taking crudités a step further by suggesting that it can also be fun and interesting to include pickled or cooked veggies along with the raw ones. 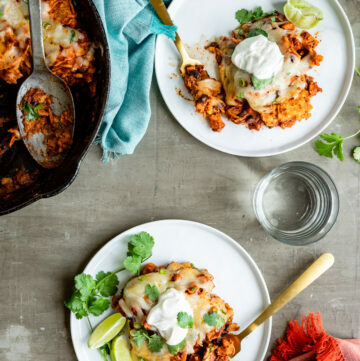 That is kind of personal preference, but it can really add in some extra flavor and textures. 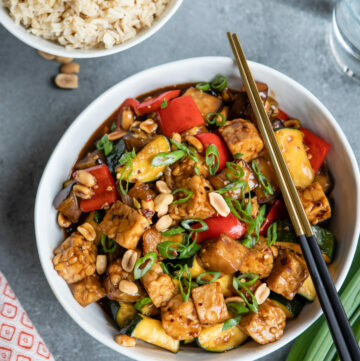 Whichever veggies you choose to include, be sure to cut the larger or tougher veggies for easier eating as well as for the art of the presentation. Leave a little stem on the carrots. Use some baby veggies which are tender enough to be eaten raw. Look for heirloom or other varieties that offer a punch of color such as watermelon radishes, rainbow carrots, heirloom tomatoes, purple cauliflower, etc. Next up are the dips. You can go the traditional route and serve the vegetables with a really good vinaigrette, like a basic Dijon, which is excellent with just about every veggie out there. 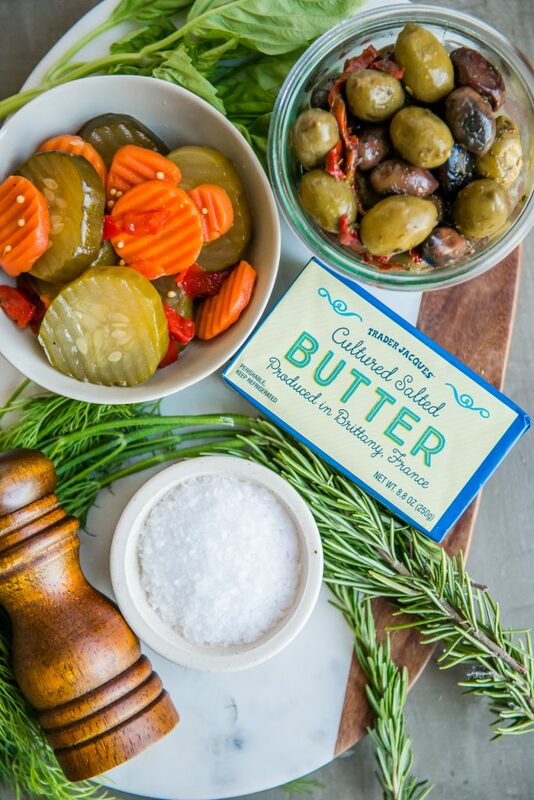 Or you can serve up an assortment of dips. 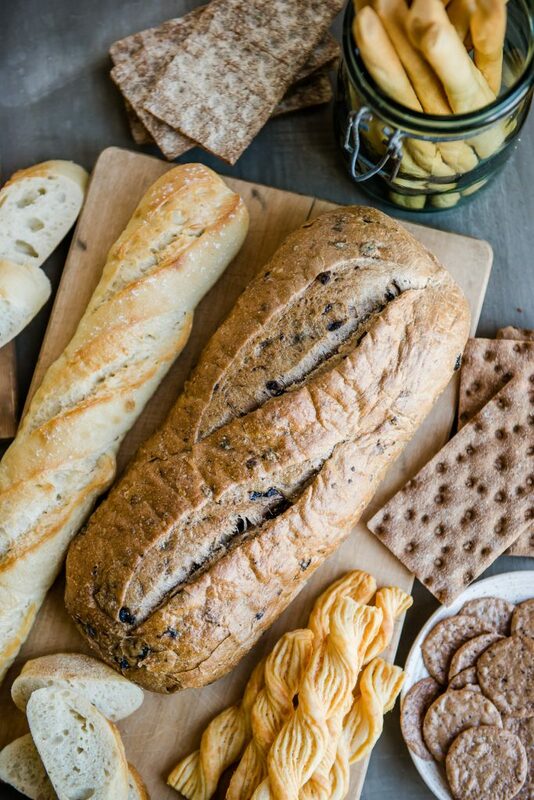 I like to include a nice range of flavors and textures, making sure that there’s something for everyone. For example, I like to always include some great vegan or non-dairy options. 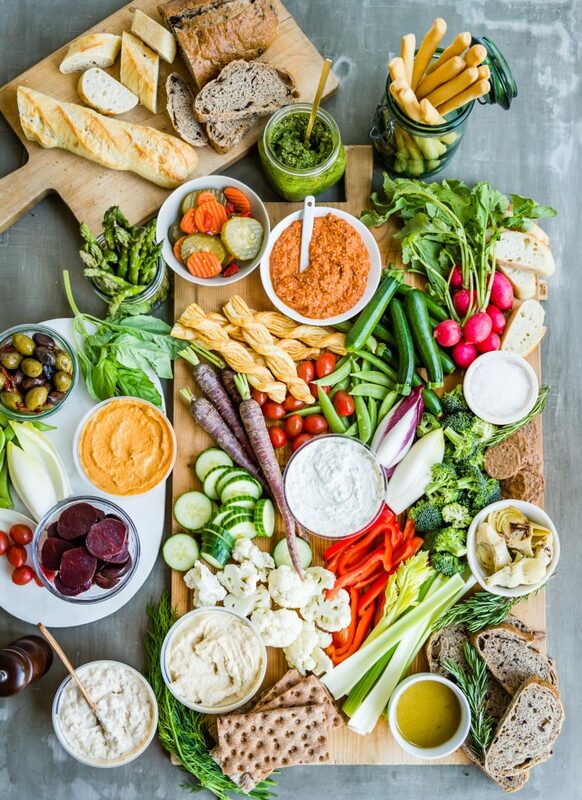 I should mention, too, that a crudité platter really is a crowd pleaser because it is so versatile and you truly can have something on it for every dietary need, personal preference, etc. 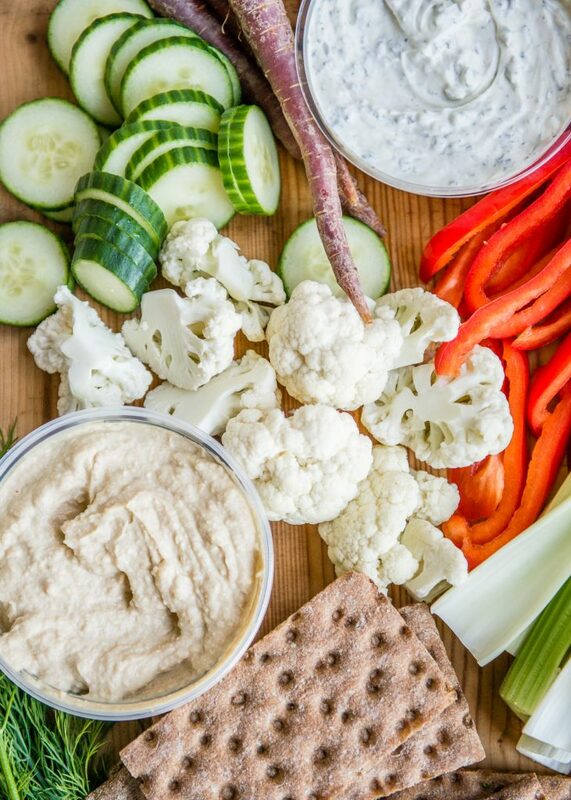 Hummus or bean dip – plain or flavored with herbs, sun-dried tomatoes, roasted red peppers, artichokes, beets, carrots, etc. 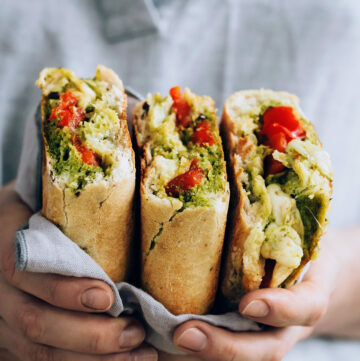 Pesto – basil or another variety like arugula, kale, sun-dried tomato, etc. 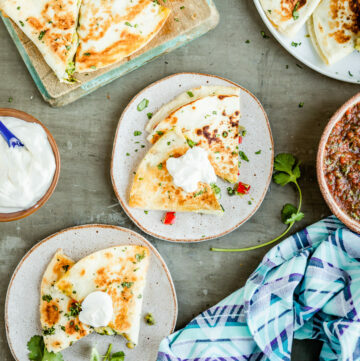 Creamy dips – yogurt-, buttermilk-, or sour cream-based dips like ranch, onion, dill, lemon herb, or tzatziki are a must! 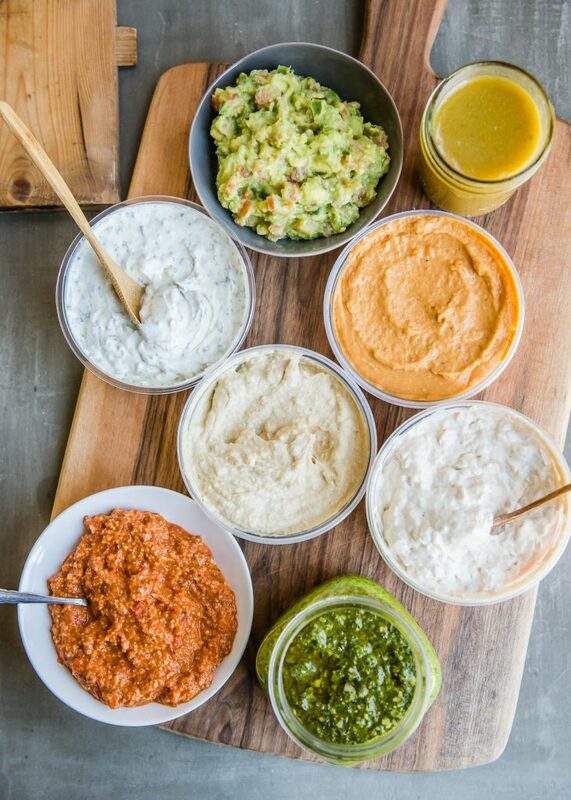 I think it’s perfectly acceptable to purchase some (or all) of the dips and supplement with a few homemade ones, if desired. Again, work within a theme to keep the board feeling cohesive. Even an “Around The World” theme can be fun with an assortment of dips with international flair. While you can certainly have an epic crudité platter with just veggies and dip, it’s also nice to include a few extras. 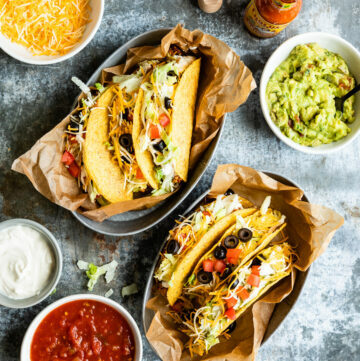 They not only help break up the monotony, but also add a nice crunch, salty or tangy bite, or savory flavor. If you’re including roasted or cooked veggies, most of those can be done in advance too. Small fingerling potatoes are great boiled, cooled, and halved and served chilled or at room temperature. Beets can be served raw or cooked, or both! Bonus points for picking some up in the chilled produce section and saving yourself some time. Grilled veggies are magnificent, but require a little more strategic planning when it comes to timing, or they can be grilled ahead of time and served at room temperature or chilled. Depending on the type of veggie, you may want to blanch (briefly plunging the veggies into boiling water) and shock them (plunging them into ice water to stop the cooking process), pat dry and serve chilled or at room temperature. String beans not only benefit from blanching, but also removing the string for easier eating. Almost every dip can be prepped in advance as well; most will keep for 3-5 days or longer if purchased and unopened. Did I miss any tips? 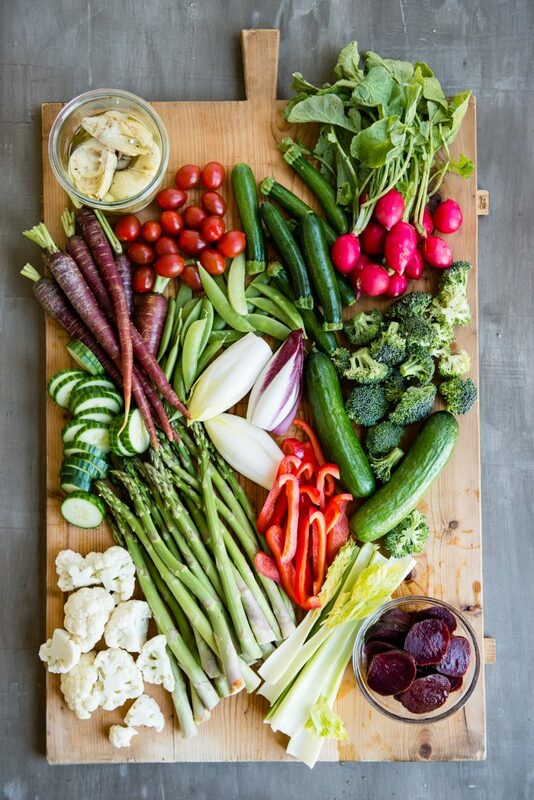 What would you add to an epic crudité platter?